Book summary: You can run from your destiny, but you can't hide. Mary Morgan: One of Mary's favorite childhood toys was a cheap tape recorder she used to record made-up stories before she learned to read and write. Growing older, she started to mimic sounds, dialogue and voices she heard in cartoons, movies and tape recordings from children's books. By her teens, the habits slowly went away as other interests caught her attention. But throughout school years when she was asked to read passages aloud from textbooks, make a class presentation, perform plays or occasional puppet shows on stage, teachers and directors commented on the uniqueness of how she spoke or delivered her lines. Mary had dreams of acting in film and television, and ignored constant advice to look into voice overs for more than fifteen years until in 2007 she finally gave in, recognizing her true skills and learning to nurture her talents. 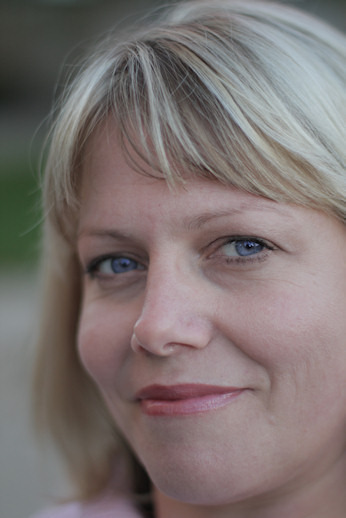 In voice acting, Mary has had the opportunity to use her voice in anime programs through Funimation Entertainment, video games and animation projects. She loves being able to interact in a visual story with a passion for voicing all kinds of unique characters in fantasy, sci-fi and horror genres. Aside from voice acting, her second passion is writing. Her collection of books heavily outnumbers any other hobby. She is writing her first novel and, hopes to add a collection of short stories and eventually move into screenplays. Every so often she keeps up with a blog varying on topics that she finds curious and interesting. Mary still has other aspirations she hopes to incorporate in her life like world traveling, publishing, creating her own production company, and inspiring others to pursue their dreams. Here’s a guest post with Brenda and the narrator Mary. Mary: As a voice over, I enjoyed narrating The Emerald Talisman very much, especially as I'm super-fond of YA fiction. My only struggles were with myself and being my own harshest critic despite this being my first attempt ever at reading and recording an audio book on my own. I live in the spirit of trying any activity at least once, whether I do a great job or not. Now I can look back to at least say that I recorded one audio book, unless I'm asked to record others depending on having the time and resources to do so. A particular highlight for me was reading the voices for villains. Even when watching cartoons growing up I was drawn more to the villains, not because they were evil, but because they weren't boring. Any worst part of recording comes down to judging myself, thinking I'm ruining the book with my voice and my read. Instinctively I want to please everybody and its never going to happen. I can only do my best, learn from the event, and strive to get better. 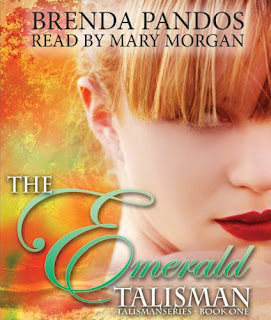 The Emerald Talisman was my first venture into audio books and I'm thrilled to work with such a passionate author. The experience has also helped me improve my storytelling skills and how to make my home studio better (like adding sound panels). Working with clients that are patient, positive, and encouraging are what make my job easier and more enjoyable, which is why I agreed to narrate the sequel, The Sapphire Talisman. Brenda: Knowing myself and understanding that no one could read The Emerald Talisman as I heard it my head (a billion times), I wasn’t sure if I wanted to have an audio book made. After attending a conference with some big time authors, they shared their opinion of listening to the voices of their audio books. No one was really fond of listening to someone else read their book. This gave me the courage not to alienate readers and have audio books available (Everblue is currently in production). Mary offered her services and I felt her young voice would be a great fit for Julia and I couldn’t be more happier working with her. She, like me, has a tireless appreciation for quality work. Producing the book together was a joy. I’m thrilled she’s going to be reading The Sapphire Talisman. I have this on my nook and still have to read it, but I do love audiobooks. I will have to check this out. Thanks for sharing.